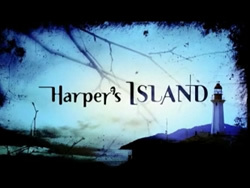 What happened to Harper's Island? CBS’ ratings-challenged murder mystery series has been put on hiatus for next weekend. The network is replacing Harper’s Island with a rerun of the popular Mentalist series. For now, it looks like Island will return the following Saturday night on May 23rd in its (now) regular timeslot. Could this be a bad omen that CBS won’t end up airing all of the remaining eight episodes? Possibly. The show’s first Saturday outing attracted just 4.65 million viewers and a 1.0/3 rating share of the 18-49 demographic. That’s about what the network usually gets for its Saturday night repeats. One would hope that the network would just go ahead and let the season finish. Will the show be back next year with another mystery? Almost certainly not. Note: We got our dates mixed up and this post originally indicated that tonight’s episode would be missing. It’s been updated to reflect the correct dates. Sorry for the confusion. Loved Hapers Island!!!!! need to bring it back.I am so tired of getting a new show and it getting canned by CBS (moonlight,three rivers,Harpers island) I really wish they would quit cancelling the shows I love! !instaed they keep making changes and they arent any good ie. “medium,the ex list btw it didnt last long shoulda kept moonlight,swingtown,the unit and another one of my favs “without a trace” I cant even get use to a new show the last 2 years its been an ever changing line up on CBS…get it together…seriously!!!! You can buy the series at walmart. I really lived the series and I wish CBS would make more Murder Mysteries because it is different than anything else is on TV. I know the ratings were bad but is there any chance of CBS doing another show along these lines?